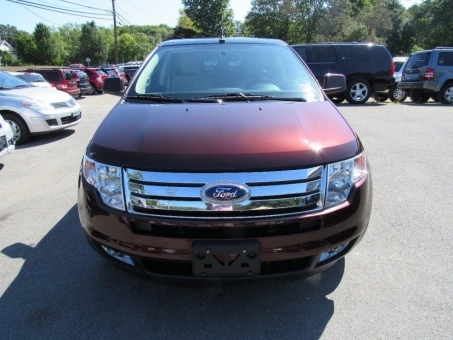 This 2010 Ford Edge is FULLY LOADED with such features as pwr windows, pwr seats, DUAL MOONROOF, Heated leather seats, AM/FM/CD, fold down seats, and most importantly ALL-WHEEL-DRIVE. Interior is in excellent condition, absolutely no rips, tears, or abuse. Engine is mechanically sound and can be driven anywhere with confidence. Great, smooth shifting transmission.